Well maintained home in a quiet rural setting surrounded by mature trees and farmland. 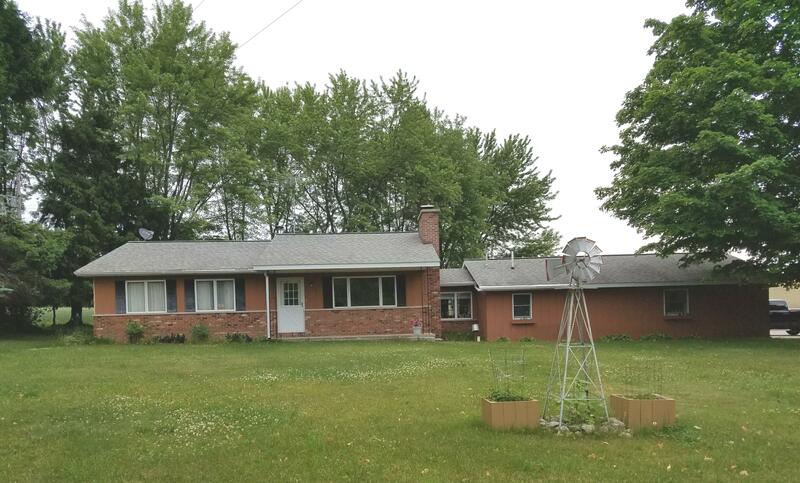 Just a few minutes from town this charming ranch home offers a nice covered front porch, a covered back patio, 2-1/2 baths, a brick fireplace, nice breezeway and a 12x18 laundry/mudroom off of the attached 24x24 garage, plus there's a 28x32 polebarn that has electric, concrete floors and a large overhead door. You also have a 1120 square ft of unfinished basement which could be extra living space for a rec room, kids play room or would make a terrific man cave (or she shed). No matter which direction you head you're within a couple miles of water... 2 miles to Intermediate Lake, 2.5 miles to Central Lake and 3.5 miles to Grand Traverse Bay. This is truly an up-north water-wonderland setting.